Learning how to get people to recycle may be a hard task, but we need to find out what motivates our community to do it. In many countries, landfills take up a lot of space, holding numerous tons of garbage. If people were to select the items they could recycle before throwing them away, the amount of recyclable material would increase. Hence, the landfills would no longer occupy so much space, posing a great threat to the environment. Recycling is the process of converting waste into useful products. The list of waste materials which could be recycled includes aluminum foil, beverage and food carton, tabs, trays, drink and food cans, cardboard, paper and plastic bottles. The smell and the all the toxic chemicals coming from the process of decomposition can pollute the soil, groundwater, the air and many nearby water sources. That is why landfills are such a big problem, affecting many ecosystems. People should be more careful when sorting out aluminum, plastics, and paper. They should think about how they degrade and how they could affect the environment during the degrading process. It is best if you try to reuse plastic bags or plastic bottles instead of just buying new plastic items. Furthermore, you could enforce your efforts of buying more recycled materials. Despite all your efforts, you might feel like they are not even helping due to your neighbors’ negligence. Hence, if you are creative enough, you should think about ways to convince your community to recycle. Some of them are not even preoccupied to throw their garbage in the dumpster. In what follows, we will provide some tips on how to get people to recycle more. We need to recycle more since this has turned into a global problem. If waste accumulates in huge quantities on landfills, then we will no longer have sufficient space to bury synthetic waste. The worst scenario is to stand still, with our arm crossed, looking at the pile of waste how they fuel pollution and boost global warming effects. Another reason why we need to recycle is that we need to conserve natural resources. We know that piles of waste contribute to the accumulation of toxic chemicals and bacteria in landfills. Hence, these can lead to increase in air pollution, soil pollution, water pollution and sewage pollution. The trash we dump can affect entire crops if farmers use water from polluted areas. Polluted soil could, as well, alter the development of crops or plants. Furthermore, soon, almost all clean water sources may be depleted. And there is only one solution to all these problems related to pollution, namely recycling. The United States Environmental Protection Agency indicates that by recycling only one ton of paper, we could save up at least 17 trees and 17,000 gallons of water. By recycling paper, plastics and other materials, we contribute to the reduction of carbon dioxide emissions. Hence, air pollution will slowly decrease, and the air could get cleaner. Otherwise, the waste will emit unpleasant smells and bacteria into the air, affecting the surrounding areas. A single tree could get rid of 250 pounds of carbon dioxide from the atmosphere on an annual basis. We need to encourage our relatives and friends to recycle in order to have a cleaner environment. If we recycle, we could save up a lot more energy than we expect it. Many companies which use recycled aluminum can save up to 95% energy while they produce other aluminum products. On the other hand, the companies which do not use recycled materials waste a lot more energy during the production processes. 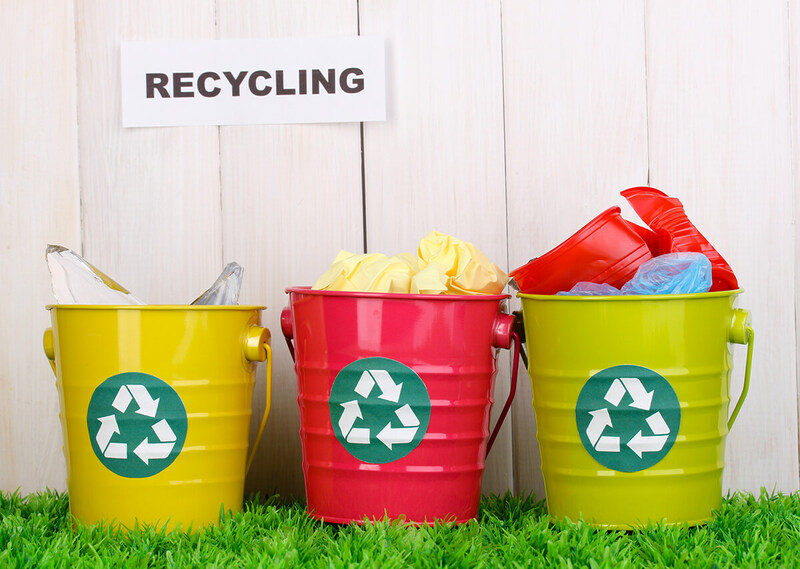 If you want to beef up your property’s value, you should definitely embrace recycling. In this way, you will be able to reduce the huge quantity of waste which reached landfills. We all know that landfills decrease property value because nobody would like to leave near such an area, which deploys toxic chemicals and unbearable smells. If you encourage your neighbors to recycle even more, your city will have fewer landfills and cleaner air. By recycling more, the amount of waste in landfills will diminish. Every day, tons of waste are dumped, and landfills reach to take up a lot more space. The rapid increase in waste leads to accumulation and overflowing of landfills. If people do not start recycling, we will run out of space to deposit all the trash. Another concerning issue is that many cities located near natural water sources, like oceans, have been contributing to water pollution for many years now. Unfortunately, many marine species get affected, and many of them remain tangled or stuck in plastic bags. Some of them die because they ingest small pieces of plastic. Therefore, all the waste we dump has started affecting numerous species of animals. Statistics show that about 60-75% of the waste in landfills can be recycled. Recycling can lead to the creation of new jobs. Many industries use recycling practices, and if this is ramped up, then more and more recycling plants will appear. Hence, this will lead to an increased number of new jobs. Statistics indicate that recycling offers 10 times more job opportunities compared to landfill waste management. Instead of just buying new things, you should start reusing some of the products your need for other purposes instead of throwing them away. You could save up more money if you decide to reuse many of the items you purchase. Furthermore, in many state in America, it became more expensive to dispose of waste than to recycle it. All these arguments can help you convince your neighbors, relatives, and friends that recycling is one of the best practices we should all promote. By learning how to get people to recycle, you actually enforce the efforts to save the planet. You contribute to the diminishing of air pollution and many other types of pollution as well as the reduction of landfills’ sizes. Hence, we should all reduce, reuse and recycle to have a cleaner environment.